This is a fantastic site. Very useful and I will definately be back! Thank you so much! 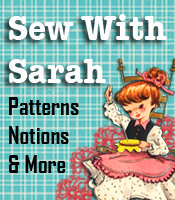 We try very hard to bring the latest sewing business information, hints, tips and projects to the sewers and crafters. Thanks for writing. I tried to reply to your email but it keeps being bounced back. Could you send your email again or another means of contact regarding the use of my tutorials.